If there's any problems with the torrent (most likely), just say the word and I'll fix it. Included with the torrent is an extras folder featuring the old edition's covers and a bunch of other images. Well, that's that. 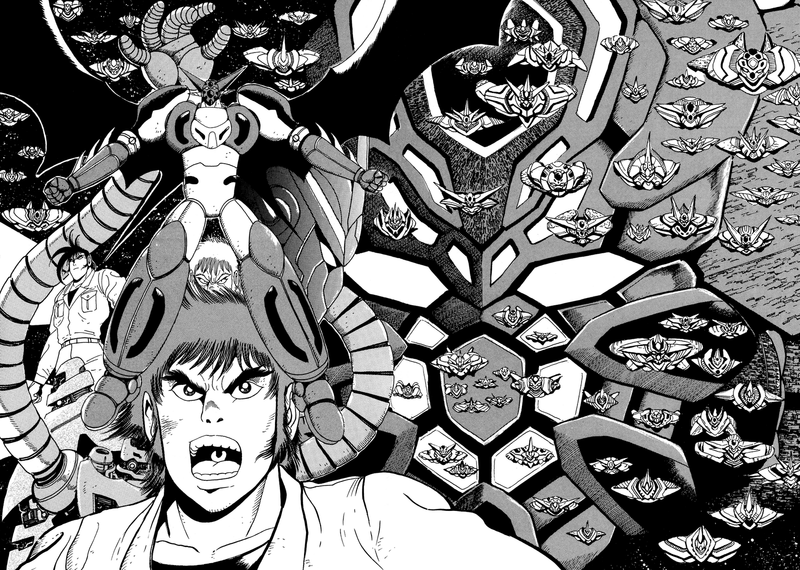 Enjoy Shin Getter Robo! 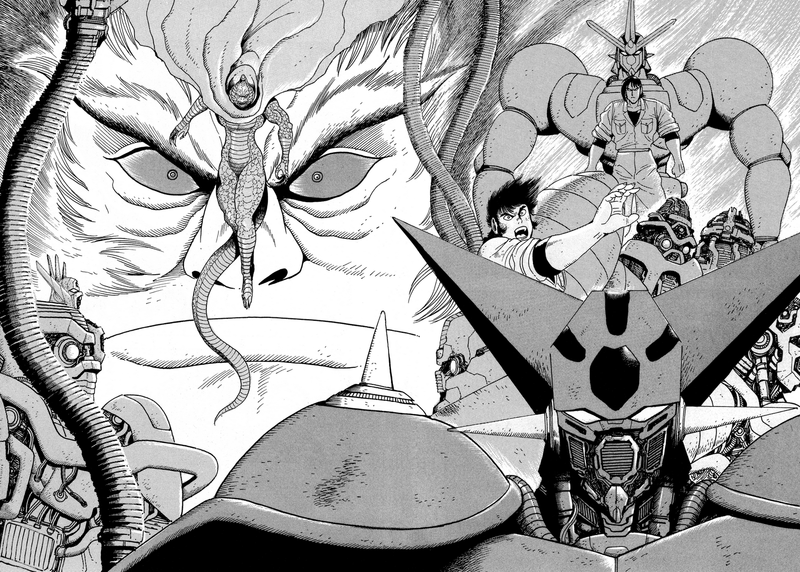 Now Shin Getter Robo is completely updated into its definitive edition. This is the chapter that ties it all together, and I especially liked the new segment at the end. 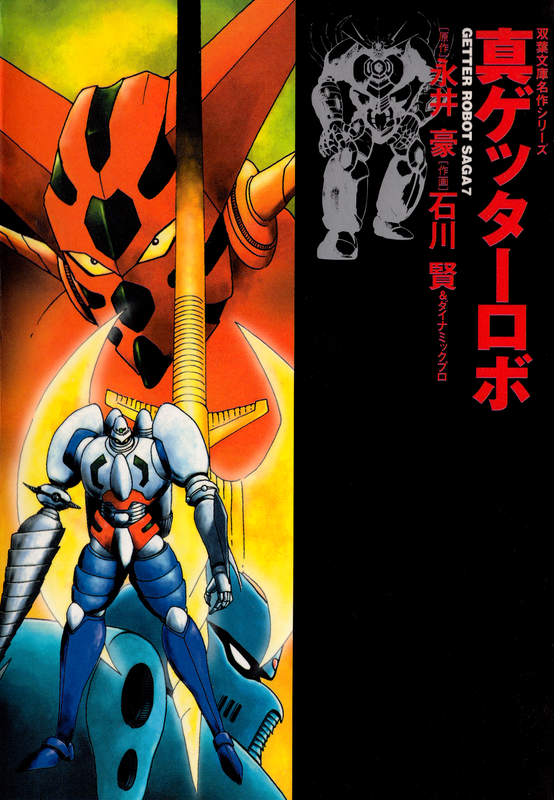 With that out of the way, I'll now focus my efforts on scanning the rest of Getter Robo Bible, and trying to get releases out for the other projects. Originally, I had planned to release the volume compilation (with minor fixes) of Shin Getter Robo this week along with the final chapter, but it's been unexpectedly busy for me, so expect the volume compilation to be released early next week. Regardless, all chapters are up for individual download. Enjoy. The second-to-last chapter is here! I had it posted it up yesterday, but blogspot was down. The final chapter will be out next week! It features an altered ending, so be sure to check it out. 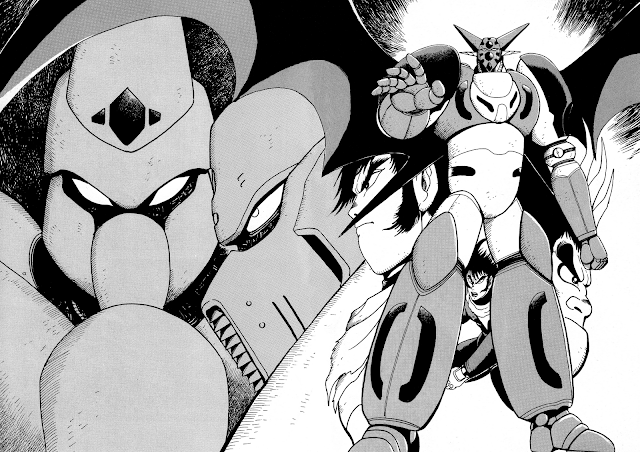 I'll be taking down all links to the old Shin Getter Robo scanlation once I'm done with this new version due to irrelevance. Here's another chapter of Shin Getter, featuring some more changes and additions by Ishikawa. Expect chapter 8 around the same time next week, and the last chapter shortly after that.